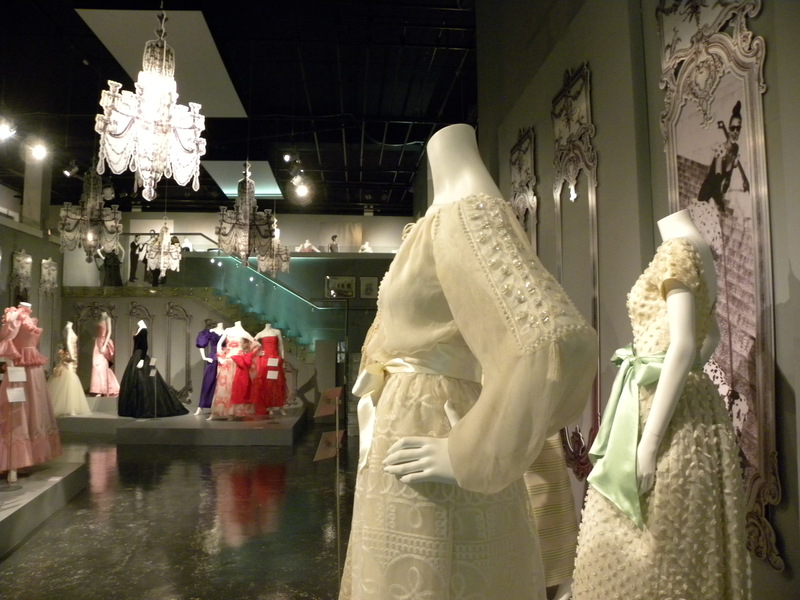 Now that I’m back in London, I stopped by the newly opened, stunning couture exhibition The Glamour of Bellville Sassoon at the Fashion and Textiles Museum just south of the river Thames. 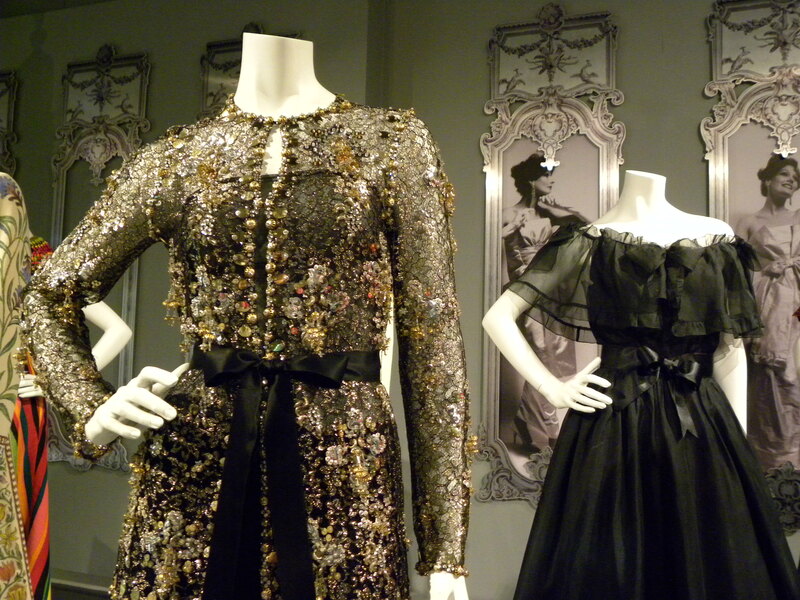 The exhibition, good enough to rival any fashion exhibitions held at the Victoria and Albert Museum featured numerous elaborate evening gowns with beautifully executed hand embroidery, extensive sequins and beading, draping and other techniques specific to the art of couture. It was also a beautifully curated show with smart use of printed card to create dazzling chandeliers and wall stucco decorations. A smart tip that I’ll have to remember when building my own palace in the future! 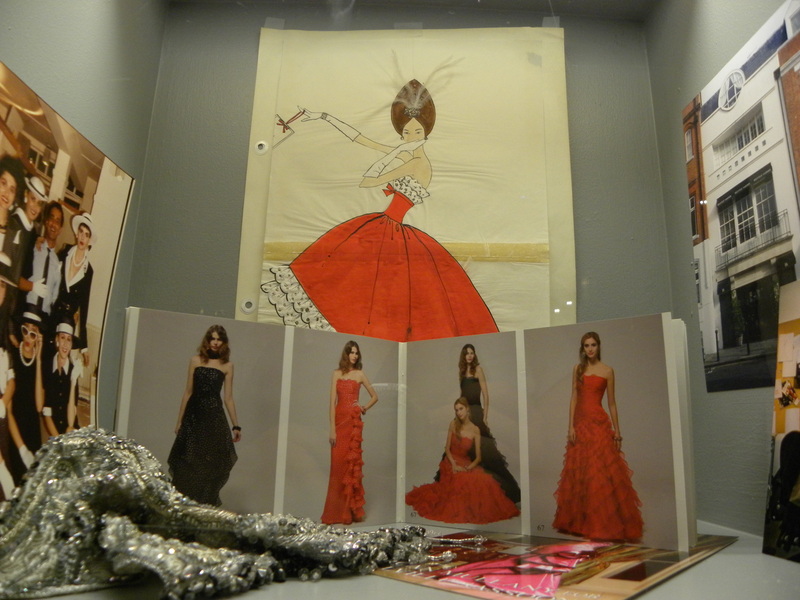 The couture house which was founded in 1953 quickly became well known for its youthful, pretty collections that oozed glamour and projected the image of sophisticated dress. 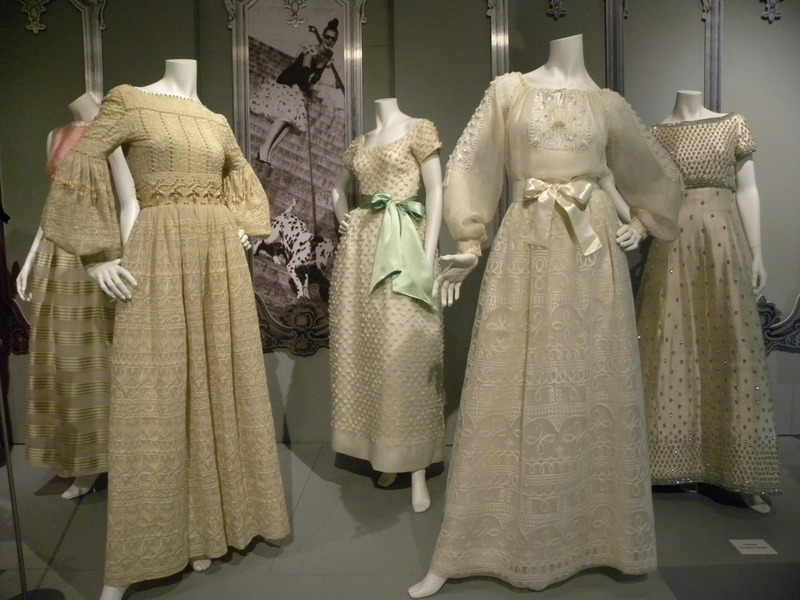 Granted, some outfits looked a little more dated than others while several remained just as fashionable over time. 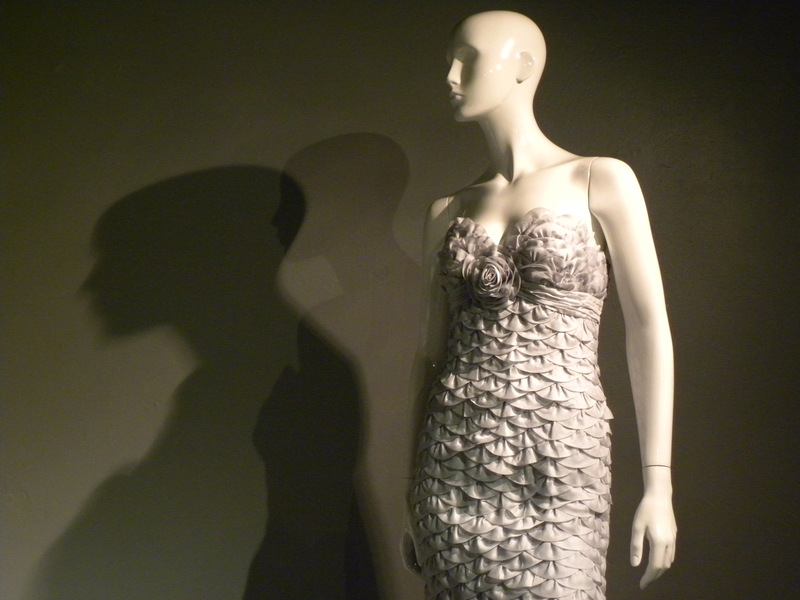 Now, the Fashion and Textile Museum might not be anywhere close to large as the Victoria and Albert Museum in size but it puts on terrific exhibitions that are well worth a visit. 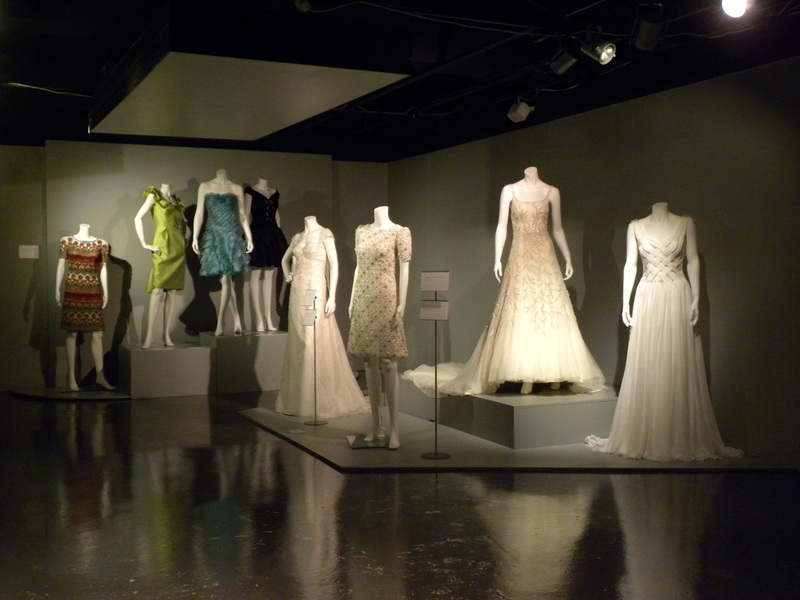 It can also be combined with a visit to the Design Museum before or afterwords as the two Museums are not far apart. Enjoy! 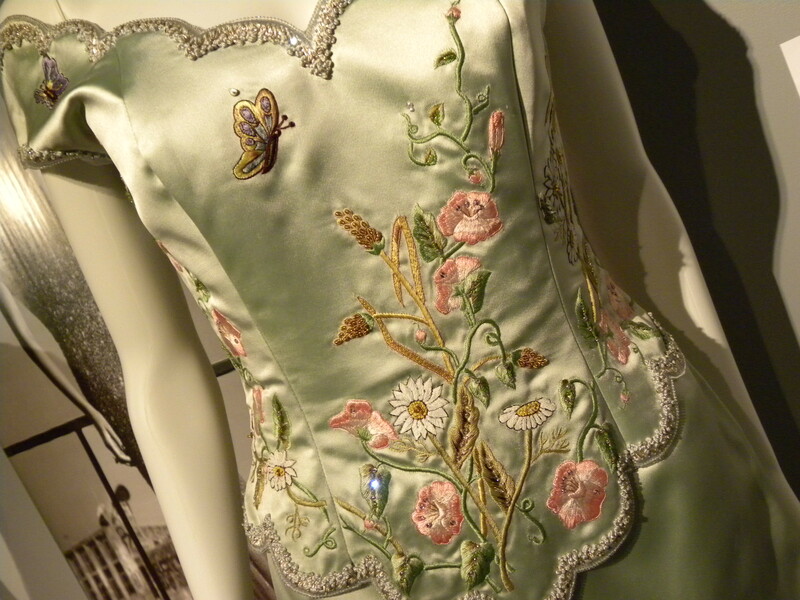 This entry was posted in Exhibition, Fashion and tagged Couture, Exhibition, Fashion, Fashion and Textile Museum, The Glamour of Bellville Sassoon by linneabylinneanilsson. Bookmark the permalink. This looks amazing! Are you creating anything at the moment or are linneabylinneanilsson on a hiatus? Maybe you´re in a rock band? What happened to the group in Beijing? So many different styles. Bet you had a field day.